"I wanted to say a big thank you for doing my hair, make up and spray tan. My make up was perfect and my hair was better than I could have imagined, both lasted the whole day and through to the end of our reception. Also for doing both my mum and grandmas make up. Neither of them ever wear any make up, and it was great how you kept their look natural and minimal - they loved how they looked. But the biggest thank you I have has to be for you doing two of my bridesmaids hairstyles, after their own attempts failed! 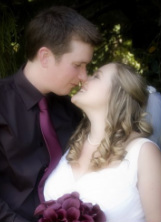 Your help at the last minute really saved the day, and their hair looked beautiful." 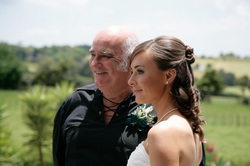 Just a short note to say thank you so much to you and Paula for all your help with Hair and Make-up for my Mum, the girls and I on our big day and especially travelling to Waiheke at some ungodly hour in the morning just so that you could make sure we were all done on time. The comments were aplenty on how stunning the girls and my mum looked (and me) and what a fabulous job you guys had done.
" Lexie, Thank you SOOOO much for the amazing hair and makeup you did for my bridesmaids and I for my wedding on the 26th March. We were all so happy with the result, and felt amazing all day! We had so many compliments throughout the day, and everyone was so impressed at how great we still looked at the end of the night, you did an amazing job! I have been recommending you to everyone! Thank you again for making us look and feel fabulous! You are truly amazing at what you do. I want to find another reason to use you!! Claire"
The day was perfect and I felt so beautiful. Both the makeup and hair up looks absolutely beautiful in the photos. I love it! I cannot recommend you highly enough and will definitely use you again for special occasion makeup and hair. Thank you, thank you, thank you! Just wanted to write a quick note to say Thanks so very much for the wonderful job you did on everyone’s makeup at our wedding. You did an incredible job especially with the amount of people, and the fussiness of us all. We loved our makeup and everyone felt confident and beautiful on the day. Thanks for helping make that happen. 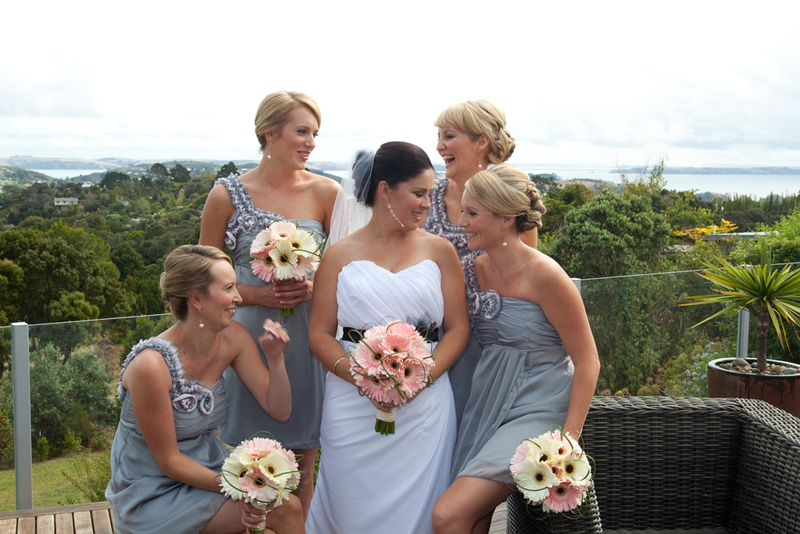 Also our spray tans for the wedding and the hens night were fantastic. So natural. 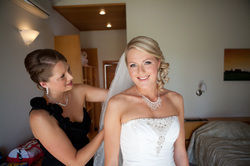 "Hi Lexia, just wanted to say thank you so much for doing the make-up for my wedding in march. My bridesmaids, junior bridesmaid, mum and MC (plus myself) all looked and felt fantastic. Thank you for your professionalism, patience and skill in making us all look super hot! 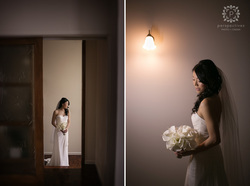 Will definitely recommend you to other brides." "Thank you for everything you and Paula did for me on my wedding day, including the little random touch-ups asked from my various family members. The make up you did for everyone was gorgeous. Everyone said how stunning I looked, and the make up you did was exactly what I wanted. I loved how my hair was done too and the curls lasted for several days"
Just a quick note to say thank you so much for the amazing job you did with hair and makeup for me and my bridesmaids, I got so many compliments from everyone. You did such a fantastic job with all of us and I have highly recommended you to many of my friends, thank you so much for helping make our day perfect! I just got the professional photos back from our photographer from our wedding and I would like to say thank you so much. You really made the whole morning so easy. You were professional but easy going and we were all so impressed with how our hair and makeup turned out. My bridesmaids looked amazing and mum looked gorgeous and Aurora, well I was just speechless, she looked so cute. You really highlighted their best features and made them all feel beautiful. I was so pleased with how my makeup and hair turned out and everyone has commented on how beautiful it looked. Thanks again for being a part of our special day. Thankyou SO much for making my wedding day so special. Your warm and friendly manner put everyone at ease, even my mother! And you made all of us look so incredible and took into account what each of use needed, from sensative skin products to someone having never worn make-up. You even made my bridesmaids dreadlocks look stylish. I've never looked or felt so pretty. Feel free to some back and do my hair and make-up for me anytime you like, hehe! I wish you luck and I will recommend you to all my friends. I just wanted to write and say thank you so much for all your hard work work on the 25th, I had the most calm and amazing morning and myself and the bridesmaids were very happy with our hair and make up. It was so nice to have someone easy going at home on the day. I just want to thank, you, Paula and bex for the awesome job you guys did on myself, my bridesmaids and the mums. Our make up made us look stunning and the hair was gorgeous. I would happily highly recommend you to anyone. You guys rock, thanks for making us look so beautiful"